Due to the security risks involved due to the rumored linkups between Huawei and ZTE, the Chinese companies and country’s government, US lawmakers have introduced a bill under which US government agencies will not use phones and other equipment from the companies. 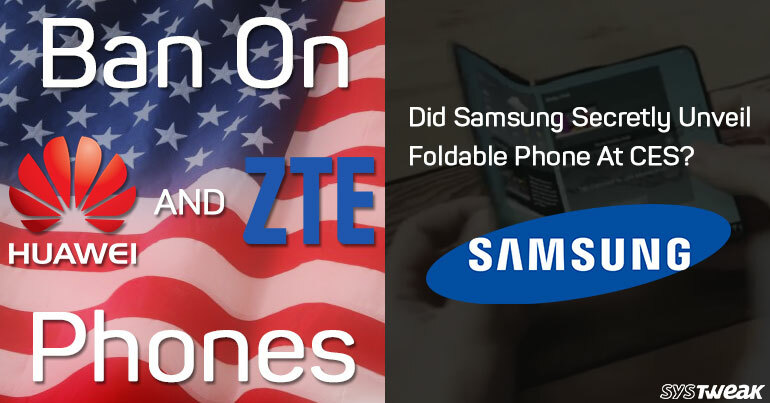 According to the US lawmakers, there always been security risks due to speculations of a relation between Chinese companies, ZTE and Huawei and the country’s government. Now, Mike Conaway introduced a bill last week called Defending U.S. Government Communications Act. Under this act, Us government agencies are not allowed to use phones and equipment from the companies. There is a reason behind bringing the Conaway’s Bill into action. According to him, technology coming from China causes a security threat to the nation. Moreover, use of the equipment, “would be inviting Chinese surveillance into all aspects of our lives.” and he also quoted that US Intelligence and counterintelligence officials said that Huawei has shared information with state leaders, and also its business in the US is growing, which indicates future risk. According to a book, Cybersecurity and Cyberwar: What Everyone Needs to Know, by P.W. Singer and Allan Friedman, they have proclaimed that there is a sprouting cybersecurity risk as to get the complicated hardware supply, they have to deal with foreign agents which gives them the opportunities to compromise equipment. Many of us agree to the fact that the hardware supply dependency will expose us to risk the security in future as well. WHAT LEAD TO ALL THIS? The security threat ban will turn into a major fender-bender for Huawei. It has not been a week since the companies buried the ashes of its partnership with AT&T. According to the deal, the company would be able to sell Mate 10 Pro phone in the US via AT&T. This partnership caught the attention of US lawmakers. Then they sent a letter addressing their concerns to the Federal Communications Commission in December. The bill proves that not trusting foreign built software is a part of a trend in the US. It all began when six major US intelligence agencies told a Senate Intelligence Committee that they had issues in using Kaspersky Lab products. UK’s National Cyber Security Centre has also expressed their security concerns by issuing a new guidance over the Russian company’s products. This is not the impact of recent events, US legislators have been worried about the Chinese companies for long. There have been incidents in past, which resulted in such harsh decision. The US is not the only one, Australian government barred Huawei in 2013. Huawei has not been able to prove its innocence and denied any connections with the Chinese government. WHAT IS THE FUSS ABOUT THIS SMARTPHONE? According to the latest reports, Samsung will soon launch Foldable phone. The tech giant displays the device in a private show at CES 2018. The annual event was held in Las Vegas from Jan 10 to Jan 12. Rumor has it, Samsung has been working on this technology for a long time and finally has succeeded in it. Samsung’s new device is said to have 7.3 OLED display with 0.1-mm inward curvature and a 0.5-mm outward curvature. To achieve the outcome, Samsung Display, The company’s division in charge of panel production, had to test the device by bending it many times a day. It is said that the device can withstand 200,000 folds. The device is said to be so thin that it will feel like you are folding a paper. WILL SAMSUNG BE ABLE TO CONTINUE AS A LEADER? Samsung has been the best at producing OLED with the highest quality. It has perfected in the genre and has been leading the industry. Given the technology advancements and the potential of the company’s panel-producing division, there is a lot you can expect from the company. Even Apple relied on it when the company wanted OLED displays for iPhone X. Given the history, Samsung always breaks the trend. From OLED displays to foldable phones, the company is working its best to give users the real taste of technology with ease.